Joanne and Dan Thompson suffered the loss of their 9 month old daughter, Millie, back in 2012 when she choked on mashed potato while on her third day at nursery. Following their tragic loss, the pair set out to make sure no parents ever have to suffer as they did. Pushing for better paediatric first training in childcare settings, Millie’s Trust was born. Now, 3 years on, they are being recognised at the Pride of Britain Awards. Dan received a phone call, saying Millie had been taken to hospital with breathing difficulties, whilst he was working 150 miles away. He immediately rang Joanne, who had just returned to work, and she rushed straight to the hospital. After her death, they suffered from depression and Joanne was treated for Post Traumatic Stress Disorder. In the months following this, they were asked if they wanted donations made to a charity, and it was then that they realised only first aid could have saved her. So Millie’s Trust was born. The trust was born with 2 aims, to train new parents and nursery staff in paediatric first aid and to change the law regarding first aid in childcare settings. And so far, they have had great success. “When Millie died, nurseries only had to provide one person per building who was paediatric first aid trained. 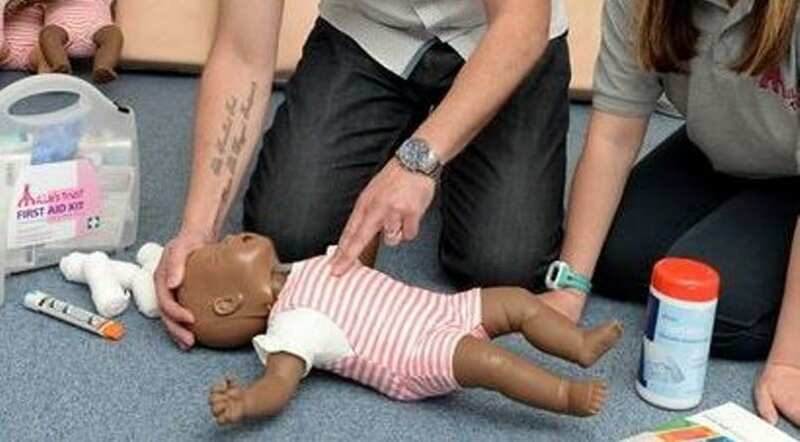 As a result of their efforts, everyone who studies childcare must do a paediatric first aid course. The couple now dedicate all of their time to the trust and are fully qualified first aid instructors. 2016 will also see Millie’s Mark – a logo showing that a nursery’s staff have been trained in paediatric first aid. “It will be an amazing moment. We have gone a lot further than we ever thought we would,” says Joanne. Watch the Pride of Britain Awards this Thursday at 8pm on ITV.